This is an extract of a white paper written by Gerald Holmann, founder and president of Qoppa Software. The full white paper on Memorializing Online Transactions with PDF Documents is available for reading on Qoppa Software’s website. Today, more and more transactions are being handled online across a broad range of categories. Transactions can be Business-to-Consumer (B2C) and Business-to-Business (B2B), local and international, goods and services, and can be settled using credit cards, bank transfers or peer to peer payment networks. While different approaches have been deployed to ensure the safety of data transmission and to verify the identity of the parties, very little has been done to ensure that the transactions are memorialized in a secure and reliable manner. Memorializing the transaction in a reliable way becomes critical anytime that a transaction needs to be revisited, which can happen for many reasons, including audits, disputes and others. In these situations, it is imperative to have the ability to retrieve the transaction in a human readable form, for close inspection. Most eCommerce systems in common use do not provide this guarantee, with the potential to cause legal and financial problems when transactions have to be examined. We propose that by saving a visual representation of the transaction, created at the time that the transaction is made, these issues will be resolved. The natural format to store this representation would be the PDF format, for a number of reasons. PDF is the de facto universal electronic document format, it is used and accepted by anyone that uses electronic documents, and provides features for long term archiving and document integrity. By capturing the visual representation at the time that the transaction is processed, it is guaranteed that the data used in creating the document is current and valid and the visual representation of the transaction matches the expectations of all the parties involved in the transaction. 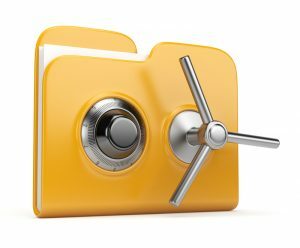 Once capture, the PDF document should be stored separately from the transaction data records, preferably in a system designed to store documents, such as a document or content management system. 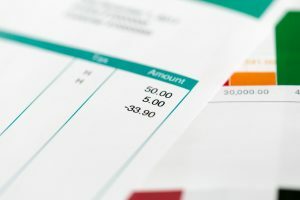 Once stored, the document can carry a transaction id or similar reference to be able to connect to the transaction data records. This entry was posted in White Paper on January 30, 2019 by qoppacom. 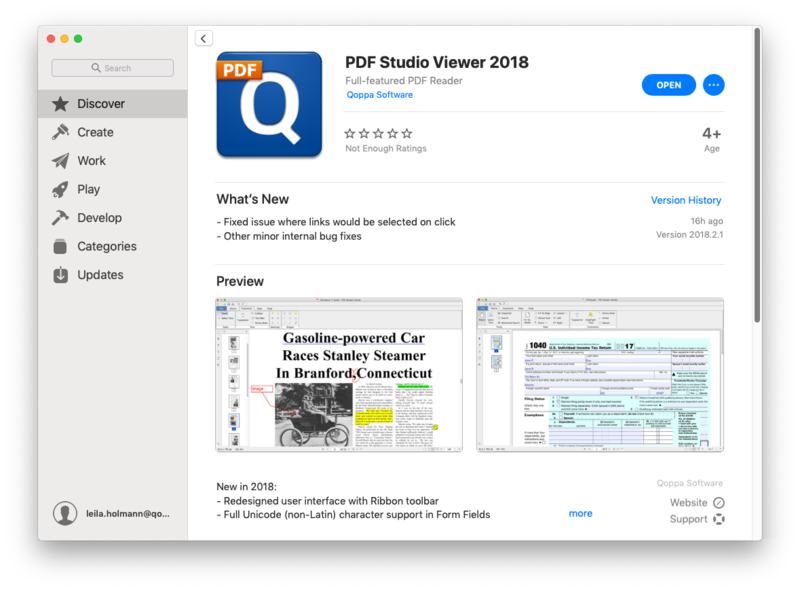 PDF Studio Viewer, Qoppa’s friendly and reliable PDF reader / annotator / form filler, is now available on the Mac App store, and it is completely free to download, without any in-app purchases! If you are a Mac user unable to markup a PDF document, fill tax forms, or simply need more features than available in the Preview application, try downloading Qoppa’s Free PDF Reader from Itunes App store. PDF Studio Viewer is an easy to use PDF Reader that comes with a lot of viewing, printing, searching and annotating features. Step-by-step tutorials as well as answers to most common questions on just about anything you would need. PDF Studio Viewer works on macOS 10.14 Mojave, macOS 10.13 High Sierra, macOS 10.12 Sierra, Mac OS X 10.11 (El Capitan), 10.10 (Yosemite), 10.9 (Mavericks), 10.8 (Mountain Lion), 10.7 (Lion). 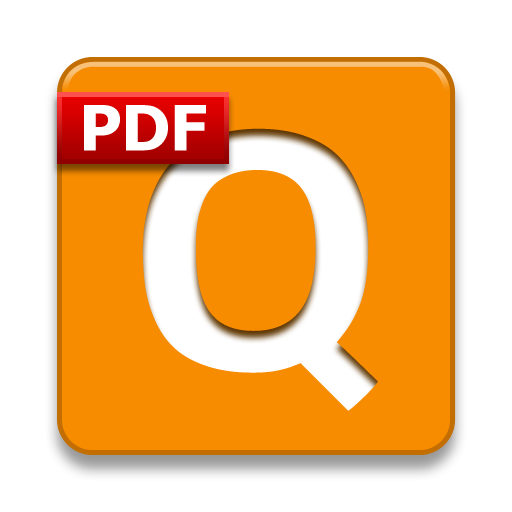 For more editing features, such as content editing, OCR, optimizer, form creation, digital signatures, PDF comparison, measuring tools, imposition, permanent redaction, preflight, Qoppa Software also publishes PDF Studio Pro, the advanced edition of our PDF reader app. This entry was posted in PDF Studio and tagged Apple Store, free PDF Reader, ITunes, Mac App Store, macos on November 27, 2018 by qoppacom. This is an extract of a white paper written by Gerald Holmann, founder and president of Qoppa Software. The full white paper on Protecting Financial Documents from Tampering is available for reading on Qoppa Software’s website. Financial documents are the essential media by which information is exchanged between parties involved in different types of transactions, including loan approvals, insurance and others. The information in these documents is relied upon to make decisions that in some cases involve large amounts of capital and risk. As such, it is imperative that the information held in these documents is accurate. While verification of the information would be ideal, this is not always practical because of time constraints, cost and access. As a result, the information on the documents is frequently taken at face value without verification. Historically, financial documents have been exchanged using hard copies, preferably using original documents such as bank statements. This medium affords a bit of verification because the documents may come from well known, standard institutions using letter head and pre-printed forms. Additionally, even though forging is still possible, modification of printed content on payer is hard to do without leaving any traces. This has changed dramatically in recent years, most financial documents are now exchanged in electronic format, with entire transactions processed without ever using hard copies. The format of choice for electronic documents is the PDF format, almost to the exclusion of any other format. Unfortunately, the great majority of PDF documents produced by financial institutions are unprotected. Unprotected PDF documents are relatively easy to modify, many PDF editors on the market can do this in simple, user-friendly ways. Any and all content in a PDF can be modified, replaced or removed, and this can be done without leaving any trace or audit trail. This means that anyone that wishes to modify financial data that they submit as part of any transaction can do so easily, inexpensively and without a trace on the document itself. The receiver of the documents has no way to tell if the documents have been modified. The only recourse is to verify the information through an audit with the institution that it comes from. We propose that all documents that contain financial information delivered in electronic form should use the PDF format and that they should always include a digital signature. Digital signatures should be applied to these documents at the time of creation and should use a distinct digital certificate from that entity that is intended for this purpose alone. Having a digital signature on every document ensures that the document has not been modified from the time of creation, and so ensures that the information contained in the document has not been tampered with. Upon receipt of a document, verification is straightforward, all signatures should be verified by comparing the current signature hash to the stored signature hash, to detect any changes to the document, and by checking all of the certificates in the certificate chain until a certificate is found that comes from a trusted CA. This verification confirms the identity of the signer of the document as well as the integrity of the document. Verification should be performed both in unattended processing of documents, and by human actors when the documents are being reviewed by a person. There is wide availability of server systems that provide functions to receive and verify digital signatures in incoming documents, and then implement routing rules to handle the documents accordingly. Documents that have valid signatures are routed to the next step in the document workflow, while those that do not pass verification can be routed differently and a human actor can be notified. Additionally, there are integration products available as well that can be used to add this capability to existing document processing or management systems. When people are reviewing documents directly, any commercial PDF viewer application can verify digital signatures and alert the end user if there are any problems. As a side effect to having this framework prevalent is that, if all documents are expected to have digital signatures, then any documents that do not have a signature would immediately stand out. On these documents, there should be human driven processes to verify the validity of the non-signed documents before they are accepted. To resolve the cost issues with the existing CA framework, we propose that a single organization should be created charged with issuing certificates for the purpose of validating financial information documents. This organization can be a government agency, perhaps an agency that is already charged with regulating financial entities, such as the FDIC, or it could also be an industry sponsored group, similar to ICANN. Financial entities would apply for digital certificates used for signing financial documents from this agency. The agency would then verify that the financial institution is real and legitimate and issue certificates with itself as the Certificate Authority. This entity would also be tasked with participating in the verification process for certificates. This can be done statically, by having operating system manufacturers include the organization as a trusted CA, and also dynamically, by providing servers that can be queried to check that a certificate is valid and that it is in good standing. This entry was posted in White Paper and tagged Digital Signature, PDF Digital Signature, PDF Security on November 1, 2018 by qoppacom. Oracle has made it easy this year for attendees and vendors to network and have friendly conversations in the exhibitor hall by providing … free beer! 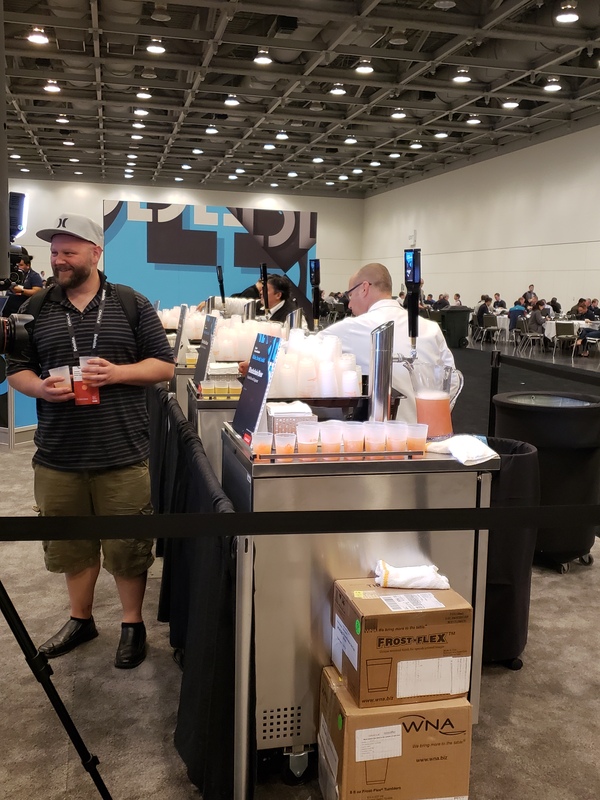 It is a fun sight to see a big crowd of Java developers going around with a smile on their face and a plastic cup in their hand, stopping at every exhibitor booth to discover the latest technology and tools. The beer distributed is not any beer, it is “blockchain beer”, brewed by Bay Area Alpha Acid Brewing Co made with all local ingredients, using Oracle blockchain technology to help test, track and improve the brewing process supply chain. 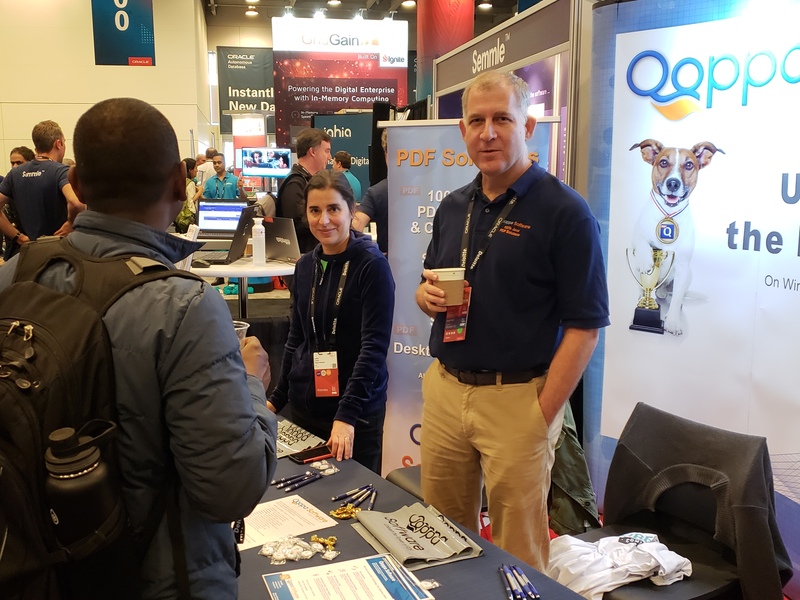 So … grab your beer then come around the corner to booth #5714 to hear directly from Qoppa’s founders, Leila & Gerald, how Qoppa’s Java PDF libraries and applications can help your company automate and optimize PDF document workflows. It is fun and thirst quenching to learn at Oracle Code One 2018! Learn more about Qoppa PDF developer and server tools on Qoppa’s website. Listen to Oracle Code One Java Keynote , which outlines the future of Java. This entry was posted in Qoppa Software Events and tagged blockchain beer, exhibitor hall, Oracle Code One on October 24, 2018 by qoppacom. Qoppa Software will be exhibiting at Oracle Code One in San Francisco, October 22-25 2018. This year, Oracle renamed their flagship developer conference from JavaOne to Oracle Code One, with the plan for it to become a broader developer-focused conference. 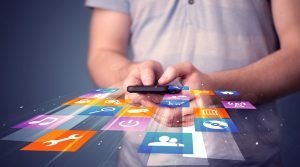 The event remains heavily focused on Java, with three prominent tracks for Core Java Platform, Java Ecosystem and Java Server-Side Development. The theme for Oracle One 2018 is Live for the Code, which is very relevant for Qoppa Software, whose highly focused team lives and breathes for the code, not only the code that we develop every day in-house, but also the code where our customers integrate our PDF developers tools in. It’s all about software development and it’s all about PDF each day at Qoppa Software! Qoppa’s booth (#5714) at Code One will offer live demonstrations of the PDF rendering and manipulation capabilities of our Java class libraries, components, desktop applications and information flow servers. Qoppa’s solutions help businesses implement ingenious document workflows for the server, the desktop and the cloud. 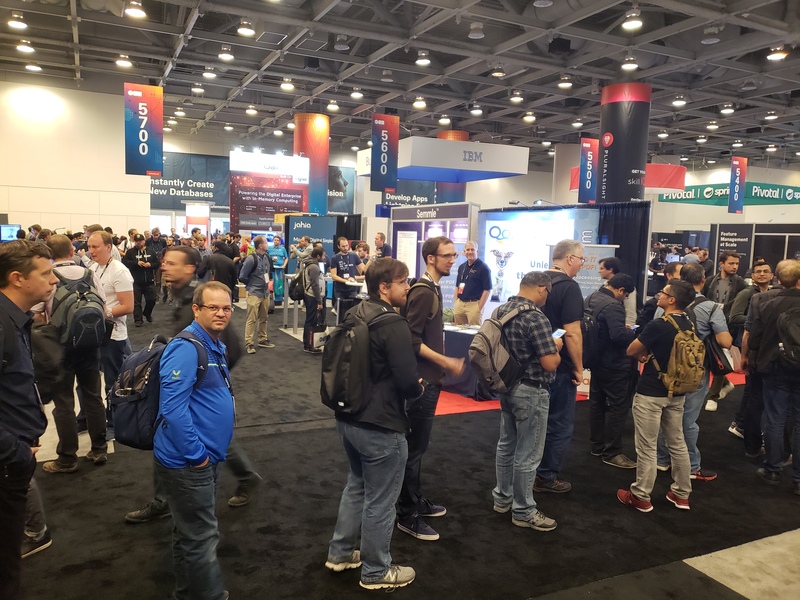 We’re excited to be at JavaOne 2018 in San Francisco again this year and can’t wait to mingle with the amazing crowd of Java developers, exhibitors and speakers who will be attending this event! This entry was posted in Java PDF Library, Qoppa Software Events and tagged Conference, JavaOne, Oracle Code One on October 4, 2018 by qoppacom. The PDF Studio 2018 interface has been redesigned with a Ribbon Toolbar to provide easy and efficient access to the many functions the application has to offer. Compared with the old classic menu, ribbons are enhancing the discoverability of new & existing features, providing users with a simple to use, visual interface to browse through all the tools and find the functions they need. The responsive auto-sizing design also creates better support for different display and windows sizes. For users who prefer the previous layout, an option is available under Preferences to revert to the classic menu. The new Inline Text Content Editing with reflow provides user friendly text editing directly on the page. PDF Studio’s advanced text recognition logic can detect contiguous text blocks within a document, and organize them into paragraphs and columns. Users can edit text within a PDF as they would in a word processor, including across paragraphs, without worrying about text reflow; they can modify layout by resizing or moving columns and easily change font, style and alignment on text. The new Fast Sign Tool allows users to create signature stamps that can be quickly applied to documents. Signature stamps can be created in 3 ways: by using a handwritten font, by drawing a signature with a mouse or tablet pen or by importing a scanned signature image. Signed PDFs are automatically flattened upon save to prevent further editing of the signatures or any interactive form fields present in the documents. Rich Text & Unicode are now fully supported when filling interactive forms, allowing to format and style all or part of the field contents, but also type in strings from multiple fonts, including non-Latin fonts such as Arabic, Chinese, and Russian. This feature is certain to please Qoppa’s growing international customer base. Direct Sane access was implemented on Linux to connect to scanners, resolving many issues caused by the old Sane Daemon interface, and allowing Linux users to set and save many scanning options. Scanning profiles can be started with a single click from the scanning menu and will keep information about the scanner to use, the color options, the DPI resolution, or even whether OCR should be performed on the scanned document. PDF Studio 2018 includes many other improvements, such as incremental dynamic stamps (with counter), ZUGFeRD verification, PAdES signatures. See the full list of new features. As part of this latest version, new features and enhancements were also added to Qoppa’s free PDF reader for Windows, macOS and Linux. The new PDF Studio Viewer 2018 includes annotating functions including typewriter, callout, text box, sticky note, text markups & shape annotations and comes with the ability to fill and save forms. This is certainly one the best cross-platform PDF readers available on the market! Version 2018 is a major release that delivers a new intuitive user interface, many advanced features and greater stability to make your PDFs smarter and do more with your documents! This entry was posted in PDF Studio and tagged 2018 on May 22, 2018 by qoppacom. Half a million downloads for Qoppa Android PDF reader! We love celebrating big milestones at Qoppa Software and we are proud to announce that our free Android PDF viewer app qPDF Viewer has reached 500,000 downloads on Google Play alone. Yes, you heard it right: our application was downloaded over half a million times! We are glad that we have enabled so many users everywhere in the world to read, navigate and search through PDF documents on Android phones and tablets over the last few years. Our top download countries are: India, United States, Germany, Brazil, Mexico, Great Britain, France, Spain, Canada, Russia and Indonesia. This entry was posted in Android PDF on March 5, 2018 by qoppacom. 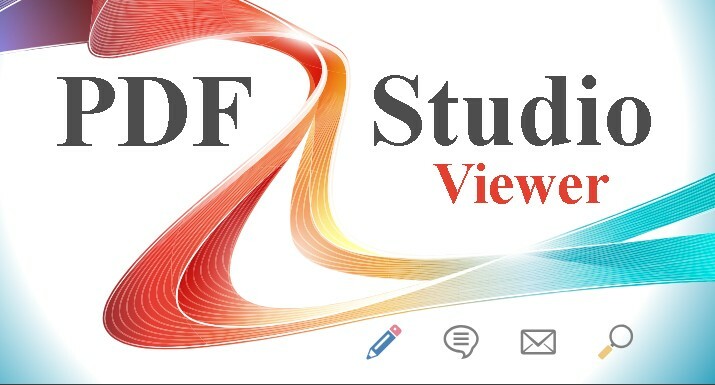 Qoppa Software announces the availability of its new feature-rich business grade PDF Reader, called PDF Studio Viewer, which is certain to interest professionals in all industries, especially those working on Mac or Linux platforms. Based on the same proprietary PDF technology found in Qoppa’s advanced PDF tools and already used by more than half a million users worldwide, the new PDF viewer works on all platforms (Windows, Mac and Linux) and comes with a comprehensive set of PDF viewing features. “We are excited to release this very solid PDF viewing application that works exactly the same on all platforms. Considering all the advanced viewing features, we expect it to be a big hit for students and professionals working on Mac and Linux, especially in the Engineering / Architecture, Marketing or Print industries. Users on these platforms have long been without a good and reliable PDF reader.” says Gerald Holmann, Founder of Qoppa Software. Easily navigate through any PDF and its interactive objects using the Navigation Toolbar and Side Panels that display thumbnails, annotations, bookmarks, digital signatures, file attachments, and layers. Search through PDFs using the Advanced Search Dialog which has options to look within the current document, all open documents, all recent documents or recursively through documents contained in a folder. It is possible to search text within the document content or within interactive objects, including form fields, annotations, meta data and filenames. Read and navigate through PDF documents using the touch of a finger on tablets and touch screens (such as Microsoft Surface) thanks to Touch Mode that comes with larger icons, navigation buttons and enlarged fonts in navigation panels. High DPI screens (4k and up) are also supported. Verify & Validate Digital Signatures, including those from Adobe Sign (formerly Echosign) and DocuSign, using the certificates contained in the operating system store or those imported by the user. Inspect even the smallest details using the Loupe Tool, a small rectangle window that can be dragged over a document to magnify a portion of the page. Zoom within pages of a document with the Pan & Zoom Tool which opens a second window that displays both the whole page and the current view as a red rectangle. Take a screenshot of the page and save it to an image file or to the clipboard with the Snapshot Tool. 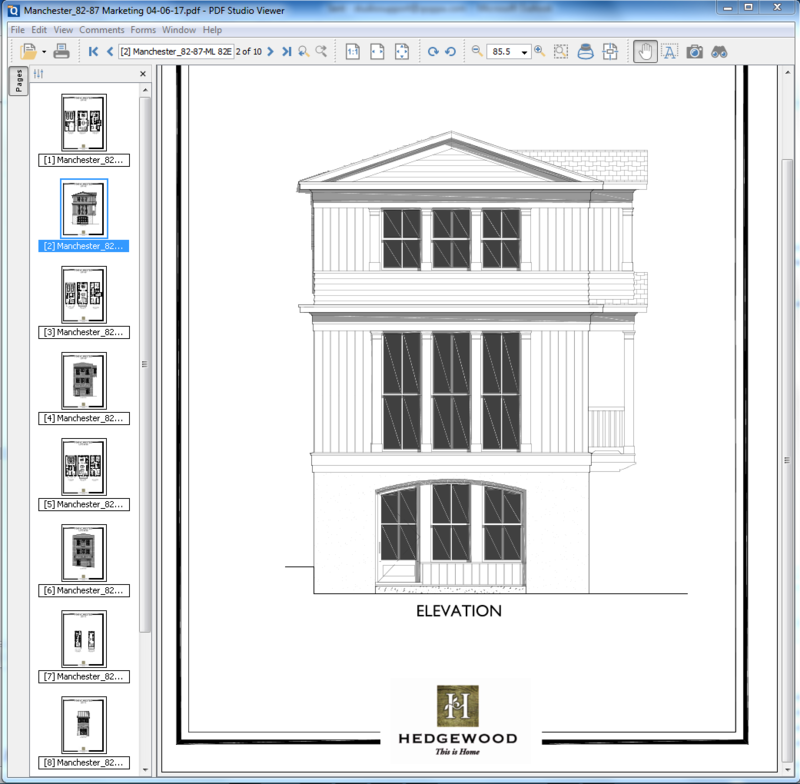 Preview and Print PDF documents with advanced options for page range, position, multiple pages per sheet or booklets using PDF Studio powerful Print Dialog. 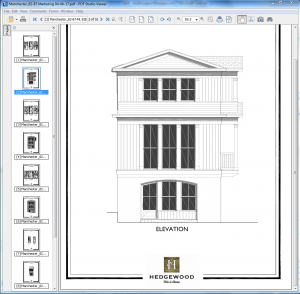 PDF Studio Viewer is free for personal and commercial use. It comes packaged as a single file installer for all platforms and supports 5 languages: English, French, German, Italian and Spanish. It is compatible with the latest operating systems: Windows 10, macOS High Sierra and Ubuntu 16.04 & 17.10. For those needing more editing features, PDF Studio is also available in Standard and Pro editions with advanced functions for OCR, Content Editing, Page Manipulation, Permanent Redaction, File Optimization, Interactive Form Designer and more. These paid editions of PDF Studio are affordable alternatives to Adobe® Acrobat®, can be purchased with a one-time fee and do not require a subscription commitment. Download PDF Studio Viewer Now! About Qoppa Software: Specialized in PDF software, Qoppa Software has developed and refined a robust PDF rendering and conversion technology over the last 12 years. Qoppa produces server software for enterprise automation, easy-to-use desktop and mobile apps for end-users as well as an SDK for developers to integrate into applications. Qoppa’s tools are fully compliant with the PDF specs and compatible with Adobe® products. Built on an integrated code base, Qoppa’s software solutions are stable, offer deeper feature support as well as high performance and responsiveness. They have been integrated in hundreds of enterprise tools, in various industries, and distributed to hundreds of thousands of end-users. This entry was posted in PDF Studio and tagged Free, PDF reader on December 14, 2017 by qoppacom.